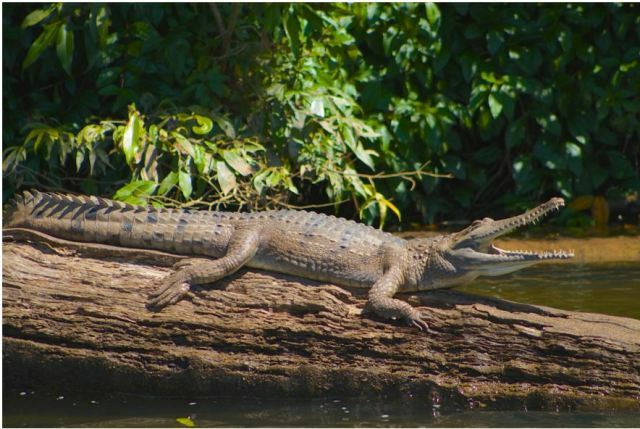 The river is home to a host of wildlife including freshwater crocodiles, turtles, snakes, water dragons and fish together with over 100 species of tropical birds. 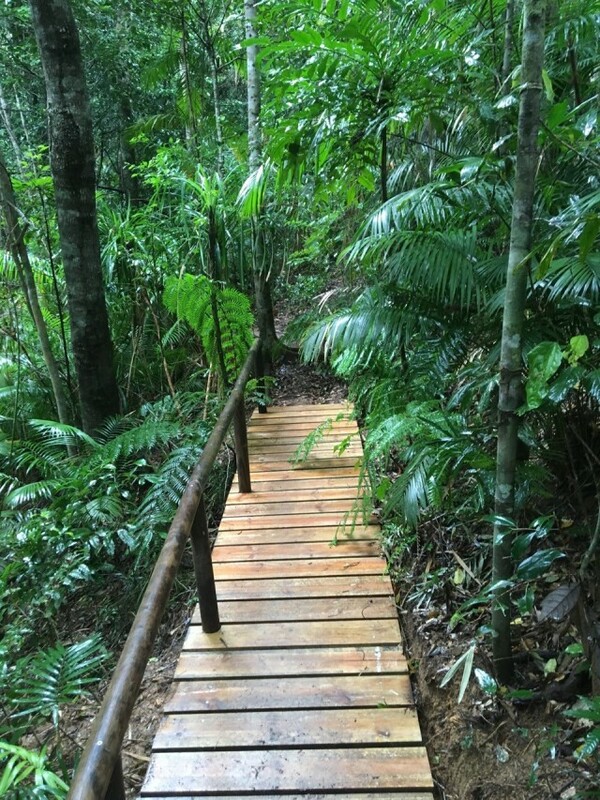 Located a short walk down the stairs to the river bank below the Kuranda Train and Skyrail Stations - Over the railway bridge and down the stairs. 10.45am, 11.45am, 12.30pm, 1.30pm & 2.30pm. 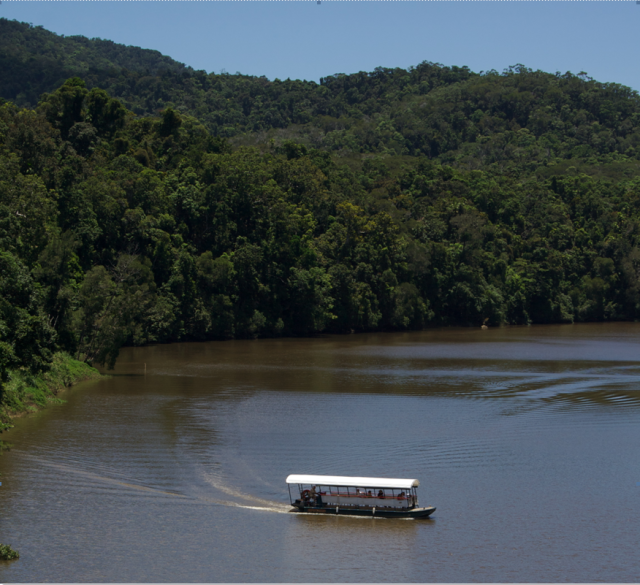 Tours return to the landing at 11.30am, 12.30pm, 1.15pm, 2.15pm and 3.15pm in time for the Kuranda Train 3.30pm departure. 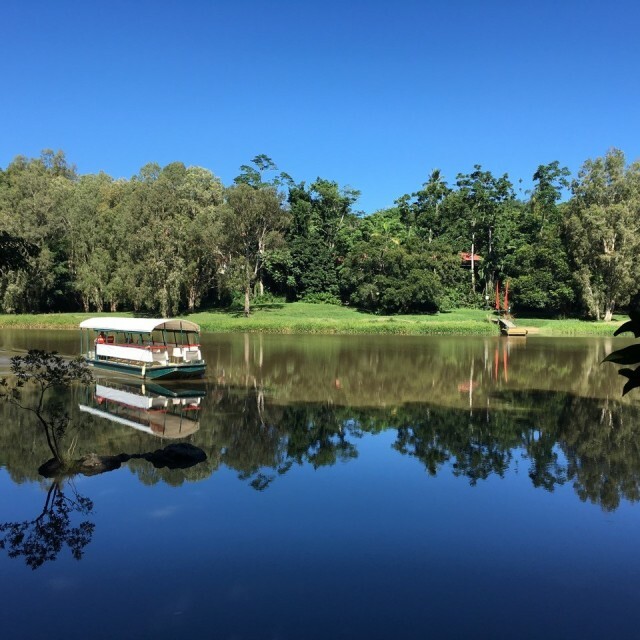 Departure Point Location: Conveniently situated, only a few minutes walk below the Kuranda Railway and Skyrail Stations on the Esplanade of the Barron River. Access to our departure jetty is “over the railway footbridge and down the stairs.” The Esplanade extends approximately two kilometres along the river front and offers panoramic views of the forest areas in which we operate our river cruises and connects to the village via the river walk circuit. 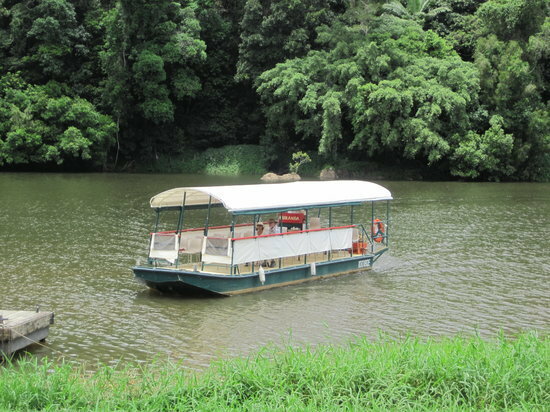 Kuranda Rainforest Tours has been operating since 1982 during which time it has built a reputation for offering informative and rewarding rainforest river cruises. 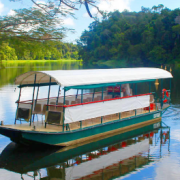 One main feature has been the ability to provide quality tours at very reasonable rates. We are one of the original companies specializing in rainforest interpretation in Far North Queensland. 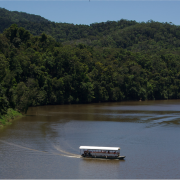 We have exclusive rights to operate river cruises on the Barron River and the only river cruise tour company operating within the Village of Kuranda. Listed below are some of the findings put forward for consideration when the Wet Tropics of TNQ were nominated for a World Heritage listing. The area provides an unparalleled living record of the ecological and evolutionary processes that shaped the flora and fauna of Australia… making it one of the most significant regional ecosystems in the world. The area contains in excess of 3,000 vascular plant species. Representing 576 genera and 224 families, which 44 genera are endemic to these rainforests. The Wet Tropics is in the top most irreplaceable protected areas on earth. Australia is one of the 7 mega diverse countries of the world. The Wet Tropics extend along the north east coast of Queensland for about 450 kilometers between Cooktown in the north and Townsville in the south. 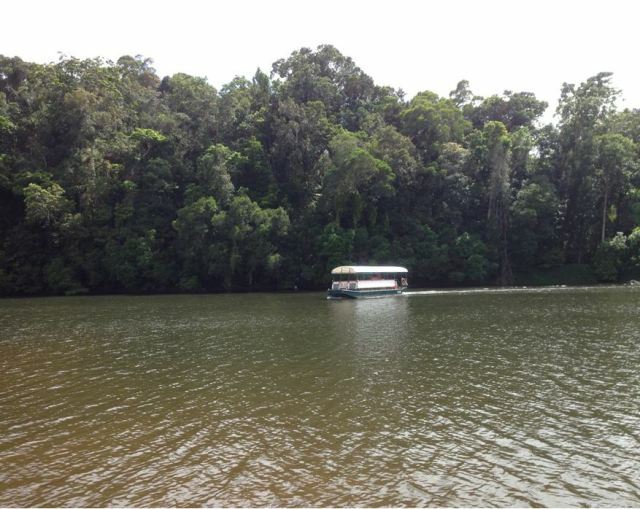 It consists of 894,420 hectares of tropical rainforest, open eucalypt forest, swamp and mangrove forest. In some places it is only a few hundred meters wide and in other places up to 50 to 60 kilometers wide. The area contains most of the relicts that exist on earth of the flora of the forests which were part of the super continent of Gondwana. All of Australia’s unique marsupials and most of it’s other animals originated in the rainforest eco-system. 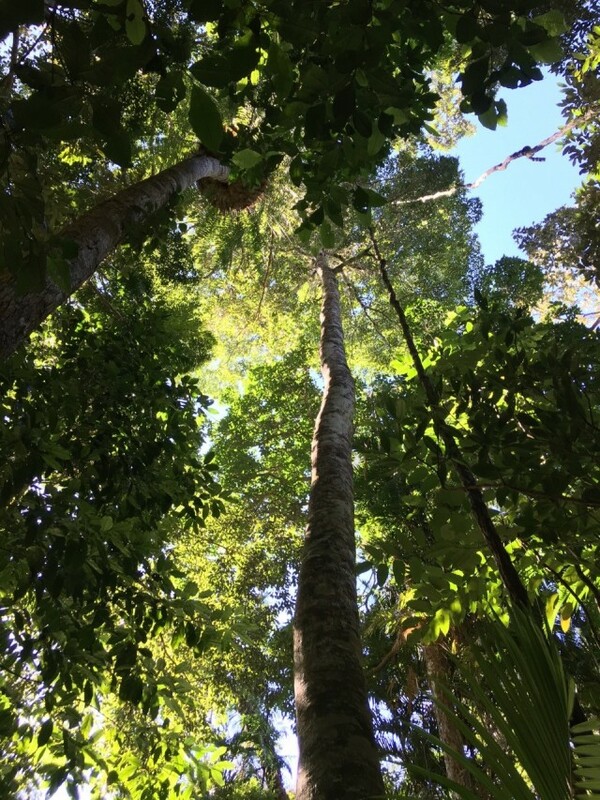 The rainforests which constitute about 70-80% of the area have more plant and animal taxa with primitive characteristics than any other place on earth. Particularly notable in this regard is the fact that of the 19 known families of primitive flowering plants (angiosperms), 12 are found in the Wet Tropics. By contrast, in all the tropical forests of South America, there are only nine primitive families represented. 354 plant species were officially considered rare or threatened, in 1995 the number was 426. 35 animal species were officially considered rare or threatened, in 1995 the number was 76. 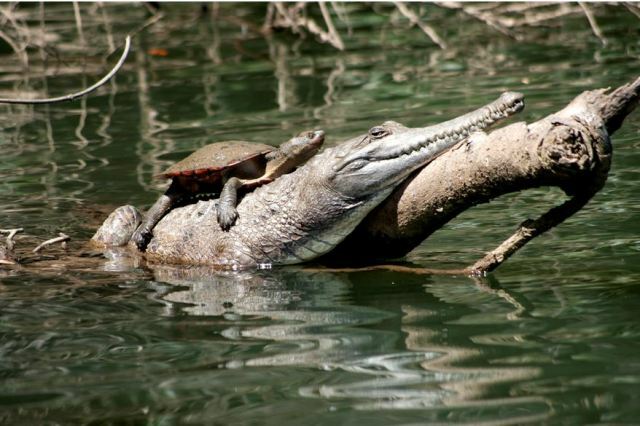 During that time 7 species of frog have disappeared. 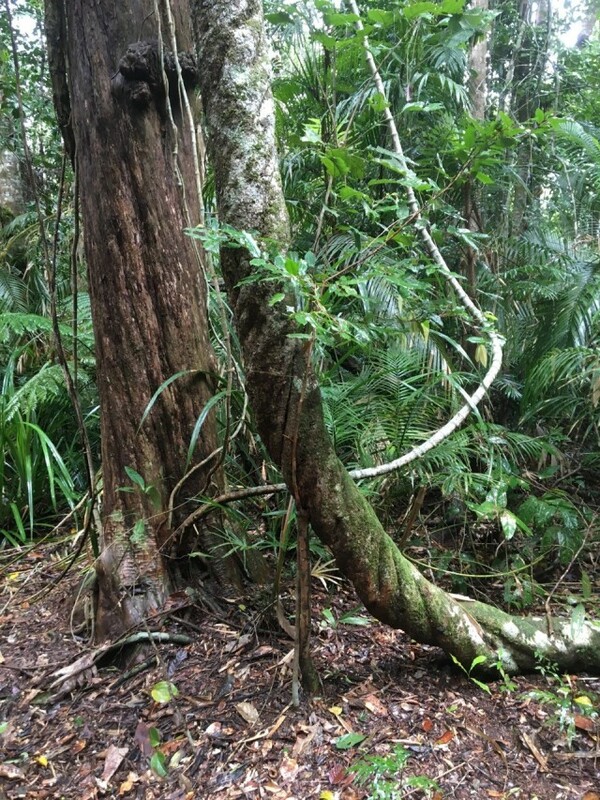 The Wet Tropics of the Queensland World Heritage area was not listed for its cultural values. Further research is being under taken to determine if a case exists for re nomination of the area on the basis of cultural heritage values. Depending on the outcome, the Commonwealth Government may consider the case for the re nomination of the area. Aboriginal people have a strong wish for the area’s cultural values to be recognized and acknowledged through the mechanism of World Heritage Cultural listing. The area between Cardwell and Cooktown contains the only recognized existing Australian aboriginal rainforest culture and provides a major component of the cultural record of these rainforest people. The oral pre-history of surviving Aboriginal rainforest culture is the oldest known for any indigenous people without a written language. Archaeological evidence in other parts of the country indicates that Aboriginal people have occupied Australia for at least 49,000 years. Archaeological studies in the Jiver Cave in the remote Russell Valley of the Wet Tropics have suggested occupation as far back as 5,000 years and the valley is believed to hold records dating back 10,000. (Toyne). According to Aboriginal people, the Wet Tropics is a cultural landscape. The natural features of the environment are interwoven with their spirituality, subsistence use and social organization. Elements of the natural environment are seen as links to the dreaming, a time when the landscape was formed. 2.The necessary elements to be able to demonstrate ongoing evolution. To qualify for inscription on the World Heritage List, nominated properties must have values that are outstanding and universal. The Operational Guidelines for the Implementation of the World Heritage Convention provide guidance to the World Heritage Committee in deciding which nominations should be included on the List. These guidelines state that nominations should be based on cultural, natural and/or mixed cultural and natural criteria. These qualities are expressed in the Convention concerning the Protection of the World Cultural and Natural Heritage (the World Heritage Convention). The World Heritage Convention aims to promote cooperation among nations to protect heritage from around the world that is of such outstanding universal value that its conservation is important for current and future generations. Of over 173,000 protected areas, the Wet Tropics World Heritage Area is the second most ‘irreplaceable’ natural World Heritage Areas on earth and the sixth most irreplaceable protected area, according to a team of international scientists. An area’s level of irreplaceability reflects the dependence of wildlife species on that area for survival, with the level of irreplaceability increasing the more a species is restricted to that area. A high number of species in the Wet Tropics are only found here such as the mahogany glider and our two tree-kangaroo species. These, along with the area’s large number of threatened species such as the southern cassowary and their distinct habitats, contributed to the Wet Tropics’ high score of irreplaceability. guy doing the tour was very knowledgeable and made it very interesting. It was well worth while. A good time out .... even got to see a Cassowary ! Turtles were cute and commentary was informative and friendly. River guy very knowledgeable, we were lucky as only about 10 people on the boat so plenty of room to spread out. 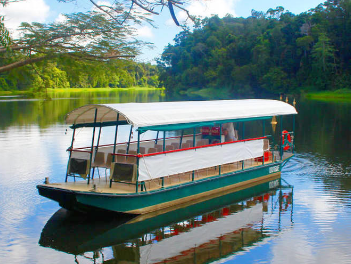 Heard about the river cruise and booked it with my Kuranda day tour. its a beautiful experience and i would recommend to family and friends. Very well run.